Two drill bits stand out as the sharpest and best: carbide steel and diamond-infused metal tips. Carbide's extreme sharpness allows it to cut effortlessly through steel and other hard surfaces. Diamond-infused drill bits cut by grinding hard surfaces such as glass, ceramics, marble, granite and concrete. When used together, carbide and diamond-tip drill bits can cut through virtually anything. Use the diamond-tip bit to drill through concrete. If you hit metal or some other steel surface, switch to the carbide tip to complete the job. Solid carbide drill bits often last up to 25 years. Diamond is the hardest substance in the world. The metal matrix of the drill bit is laced with small diamond particles. The diamonds are strategically spaced in the metal tip so their sharpest margins protrude and can cut effectively. The sharp diamond particles quickly cut into the material's surface that is being drilled and allow the drill bit to penetrate. Several layers of metal laced with diamonds are spread across the drill bit's surface, so if the first layer becomes dull or wears out, the second layer will take over. Solid carbide drill bits offer the longest lifespan and the sharpest tip. Some drill bits are manufactured of another type of metal and have a carbide tip fused to the end. Carbide-tipped blades often break, unlike the solid carbide drill bits. Exceptionally heat tolerant, a carbide bit does not break down as quickly as other drill bits such as steel. Carbide drill bits work well when drilling through high-density materials. Carbide and diamond drill bits will hold an edge longer than other types. Both drill bit types function well dry or wet. Carbide and diamond drill bits come in a wide array of sizes and shapes, but the two most common types are blunt-nose bits and core drill bits. Blunt-nose drill bits only have a line of diamonds on the very end. Core drill bits have a hollow center. The diamonds run along the edge and up the sides of the bit to make it cut quickly. Blunt-nose and core drill bits can also be made from solid carbide. Despite being exceptionally sharp, drilling through hard surfaces with carbide and diamond drill bits is a slow process. 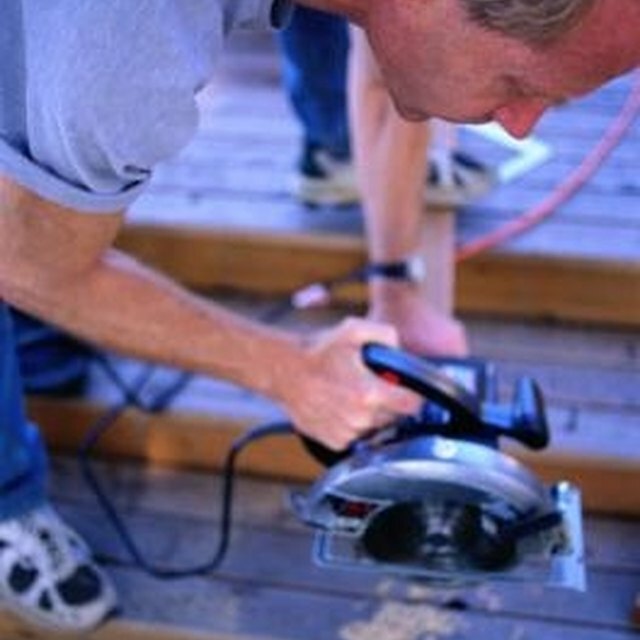 You will notice a distinct difference using the bits to drill through a soft surface such as wood, compared to granite or other hard substance. Both carbide and diamond drill bits work the best when used at low speeds. The harder the substance being drilled, the slower the bit should be operated.